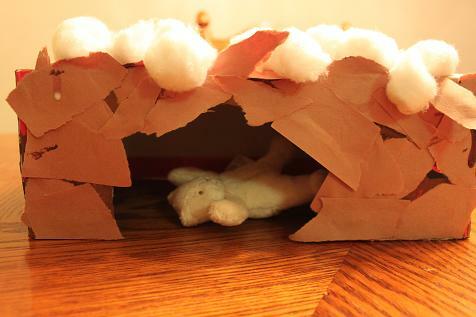 Since we have been learning about animals in the winter we just had to make a cave for a hibernating bear! 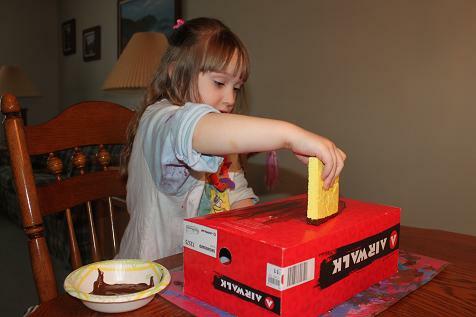 Hailey painted a shoebox brown. 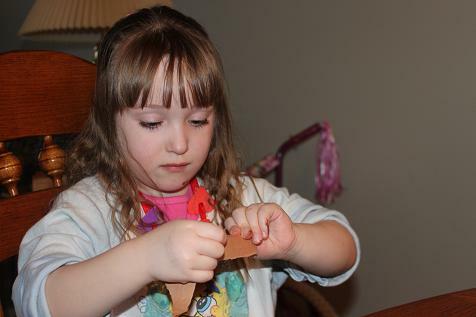 Then she ripped apart brown paper. 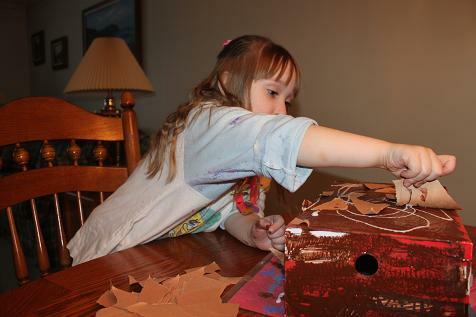 Then we glued the brown paper all around the cave. 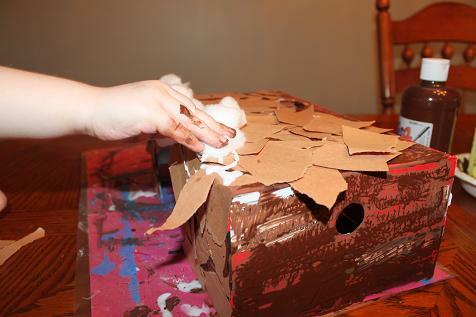 Lastly she glued some cotton on the top for snow. Shhhhh…. there’s a bear sleeping in there! 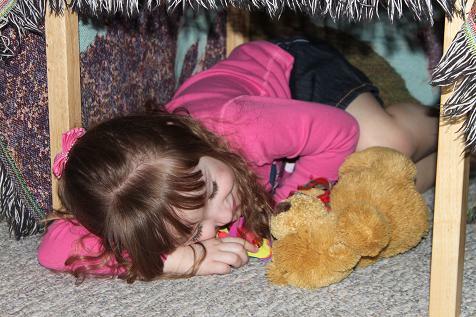 Then we made a cave in Hailey’s playroom and she hibernated for a little while with her stuffed bear. This cave turned super cute! I love the acting out the hibernating as well!